'Up against a machine' on devolution Jump to media player A former Conservative Welsh Secretary says he tried to secure devolution of policing in the early 1990s, but found he was "up against a machine". Silk report to 'simplify' devolution Jump to media player Control over youth justice and policing should be devolved to Wales and the number of assembly members increased, says an influential report into assembly powers. Commissioners split over police powers Jump to media player Two of Wales' four police and crime commissioners (PCC) take opposing views on whether policing powers should be devolved to the Welsh assembly. 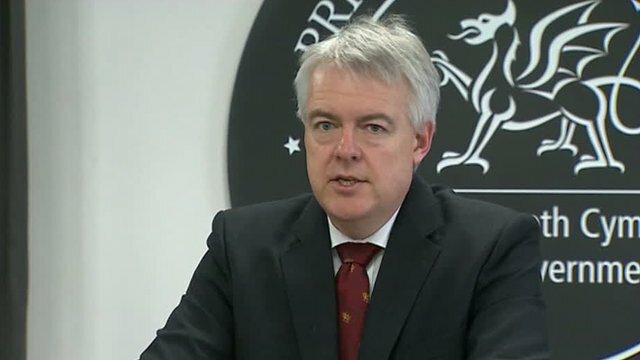 Minister calls for policing powers Jump to media player First Minister Carwyn Jones calls for powers over policing to be devolved to Wales. A former Conservative Welsh Secretary has said he tried to secure devolution of policing in the early 1990s, but found he was "up against a machine". Lord (David) Hunt was giving evidence to a House of Lords committee on the implications of Brexit, and how it might affect the balance of power between Wales and Westminster. The man who served as Welsh Secretary from 1990 to 1993 said he had the agreement of then Home Secretary Ken Clarke to transfer control of policing to the Welsh Office, but then "nothing seemed to happen".